Each model provides options for the user type it is designed for, but also allows for change when users are ready for a new challenge. Slower and deeper breathing, improved by the regular use of the AireStream trainer, can lead any individual to better overall health. For those who are beginning a light exercise program, are learning to play a musical instrument for enjoyment, or are recovering from respiratory illness, the AireStream is the perfect start to learning improved breathing techniques and breath control. For many casual athletes, the move from a shallow to deeper breathing can make a difference in cardiovascular improvement. A lung training routine with the BreatheAir device strengthens deep breathing, helping to make each breath more efficient. Musicians find that they can create deeper, more rounded sound after using the PowerLung, and studies found that when swimmers used respiratory muscle training before each swim, both pulmonary function and ventilatory endurance increased. For those looking to participate in more consistent sport training, perhaps running in races or participating in triathlons, the PowerLung Trainer model is likely the perfect fit. This device is designed for those exercising consistently for competition, providing that extra push to increase heart rate and improve endurance for long term performance at high intensities. Amateur athletes are often pressed for time, and need tools which can make each workout meet their individual fitness needs. The Trainer speeds up warm up and builds the body’s abilities so recovery is achieved faster. With brief, but effective, training program, the Trainer can be added easily to your existing training schedule. Vocalists looking to reach those high notes—and hold them—will also find the Trainer a wonderful addition to their regular warm up routine. Elite athletes are a unique breed. Already in tune to their body’s physical abilities, a top athlete may be searching for ways to get over the plateau or reach for that next level. The Sport model is equipped with the highest levels of resistance, providing those in top condition with the challenge not found in other PowerLung models, making this the ultimate respiratory muscle training tool! With training programs to fit in your varied schedule, including the sprint and taper phases, your PowerLung Sport use can be customized to fit your extensive training schedule. This model is designed specifically for the ultimate athletic performer, and not be used for musicians or vocalists, or even amateur athletes performing at an elevated level of activity. With each PowerLung model you may choose, option of upgrading your device to provide you with increased resistance, helping you to reach higher levels of respiratory training. Resistance Cells can offer users to step up with their device when their cardiovascular needs increase, without having to purchase an additional PowerLung device. You can set lofty goals with your customized PowerLung! PowerLung provides customers with assistance throughout the purchasing journey, presenting expert advice when selecting the right advice based on individual needs and both short- and long-term goals. Testimonials and guides are available to assist inexperienced users, and instructions on care and cleaning are offered should any questions or concerns arise. 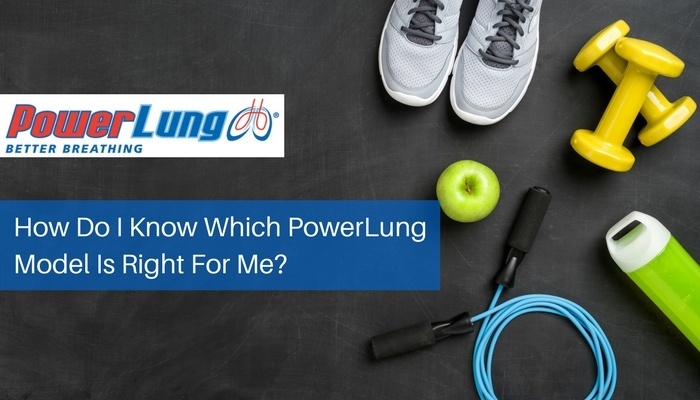 Your PowerLung can be designed and upgraded based on your fitness needs, and the experts at PowerLung are ready to help you achieve your goals.